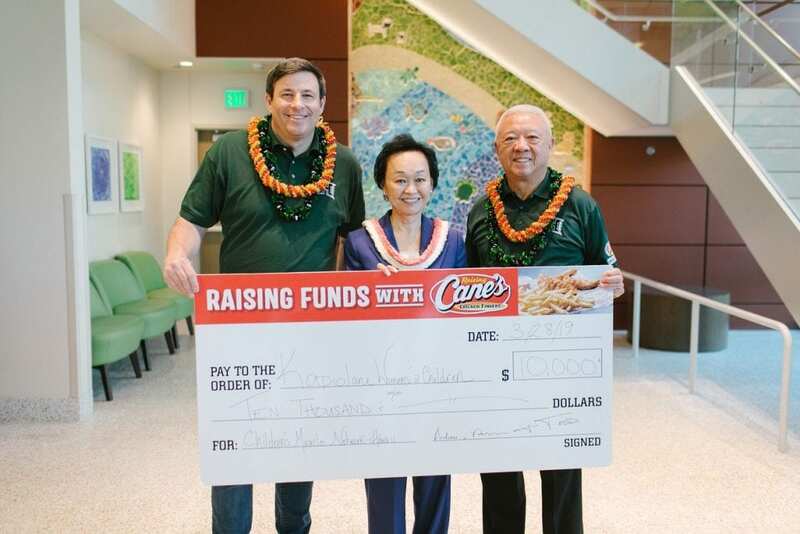 Kapi`olani Medical Center was very fortunate to be visited by Raising Cane’s restaurant founder Todd Graves with co-owners and co-founders of Panda Restaurant Group, as well as owners of the Hawaiʻi franchise of Raising Cane’s, Andrew and Peggy Cherng. Raising Cane’s and Panda Restaurant Group each presented a check of $5,000 to the medical center during a recent tour of the medical center. This gift is in addition to a record-breaking $353,006 raised by Panda Restaurant Group for Kapi`olani in 2018. Next post: MISS HAWAII’S MARCH 2019 RECAP!